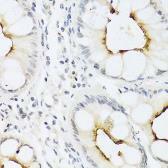 Specificity/Sensitivity: This antibody was selected for its ability to detect human MDC protein. 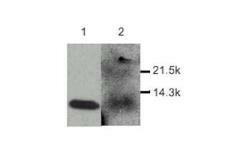 Specificity/Sensitivity: This antibody detects mouse MDC in western blotting and direct ELISA. 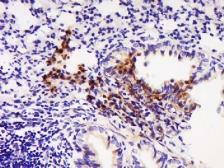 Specificity/Sensitivity: This antibody is specific for MDC. 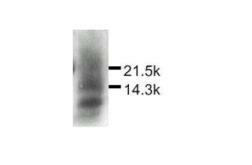 Specificity/Sensitivity: The antibody shows 20% cross-reactivity with recombinant human MPIF-1, 10% cross-reactivity with recombinant human MIP-1δ and 1% cross-reactivity with recombinant mouse MDC, human HCC-1, human I-309, mouse MIP-1α, viral MIP-I, mouse MIP-1β and mouse MIP-1γ.